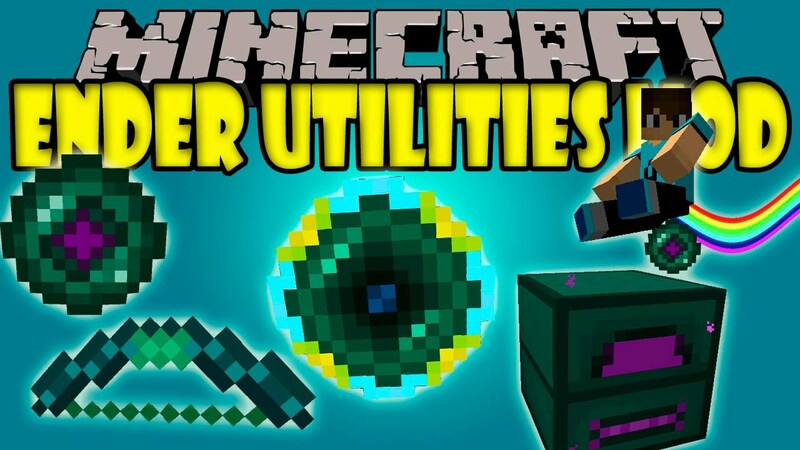 Ender Utilities Mod 1.11.2/1.10.2 is mod packed full of miscellaneous utility type items and blocks. As the name suggests, most of these center around “ender type” mechanics, such as teleportation, remote access, extended storage capabilities. 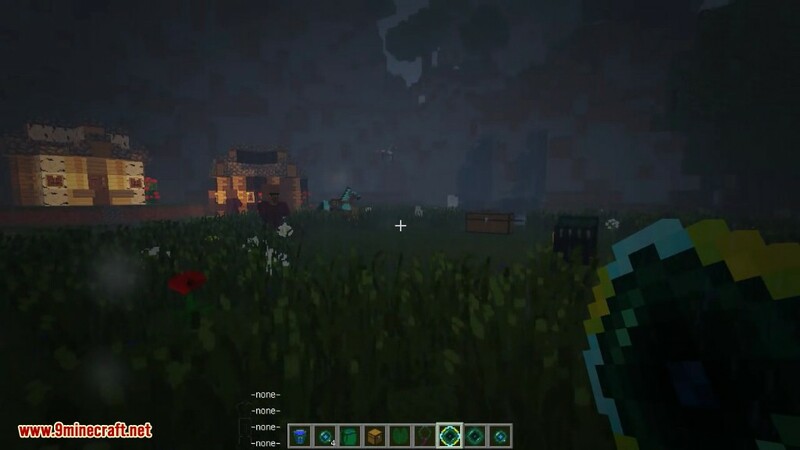 This mod adds new tools with Ender abilities. 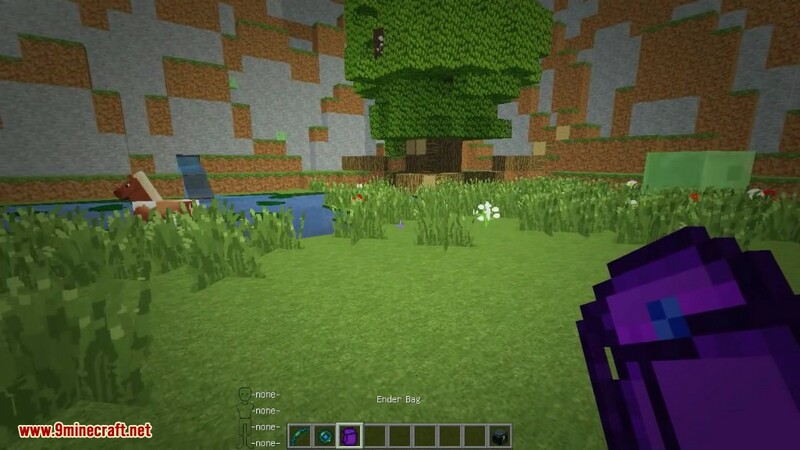 The Ender bow and arrows for example allow you to set a location by right clicking a desired block and then anything you hit with the arrows will teleport to that spot. 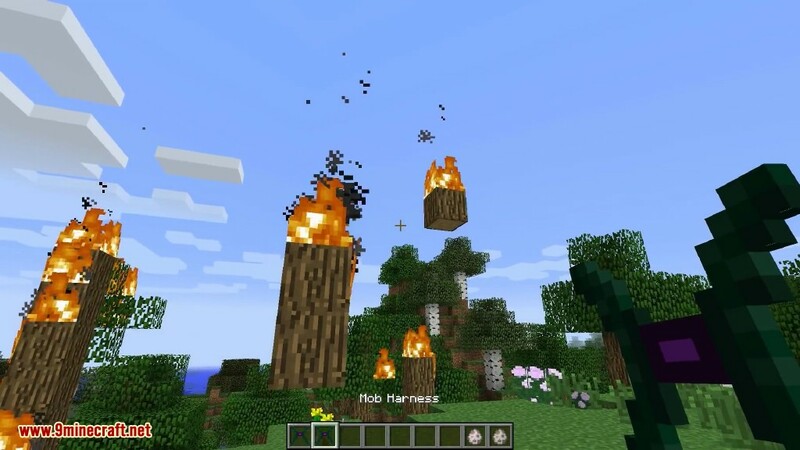 This is great for mob farming as the first hit will always teleport them. So if you have the location set to a block that will kill the mob, you can easily collect their drops. Set up a hopper and chest and the items will automatically collect when the enemy dies. 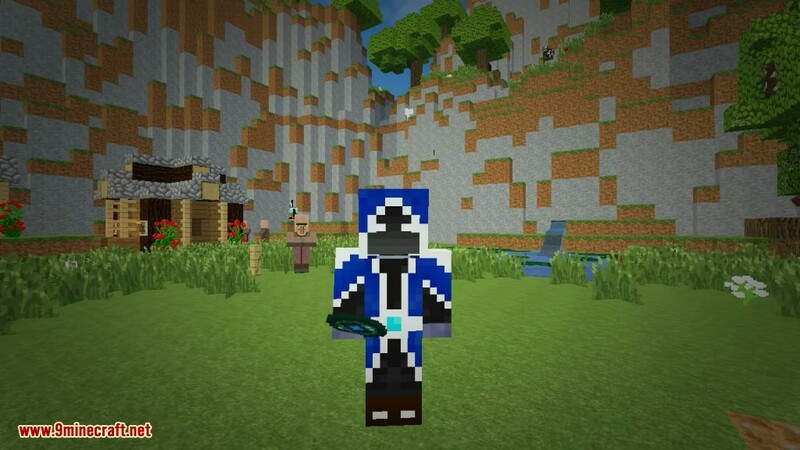 Ender Porter: Used for player self teleporting. 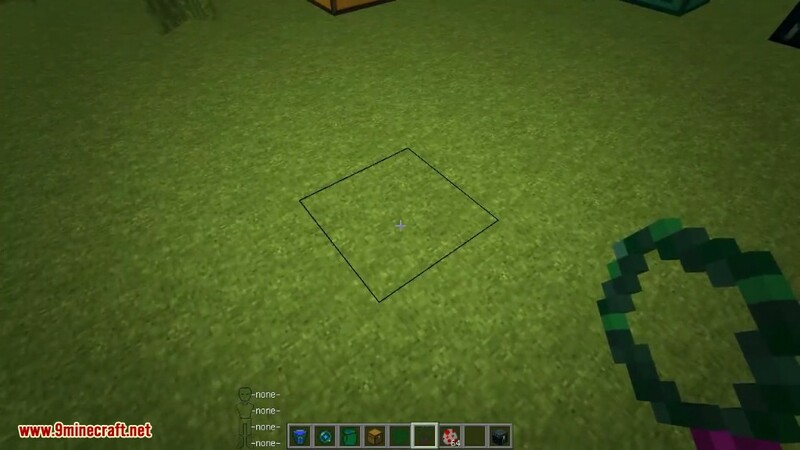 Comes in two versions: a Basic version, which only allows teleporting inside the same dimension, and an Advanced version, which let’s you teleport to/from any dimension. Sneak + right click to bind to a location. Or Press Alt + Shift + Toggle mode key to also store your current rotation (camera angle). 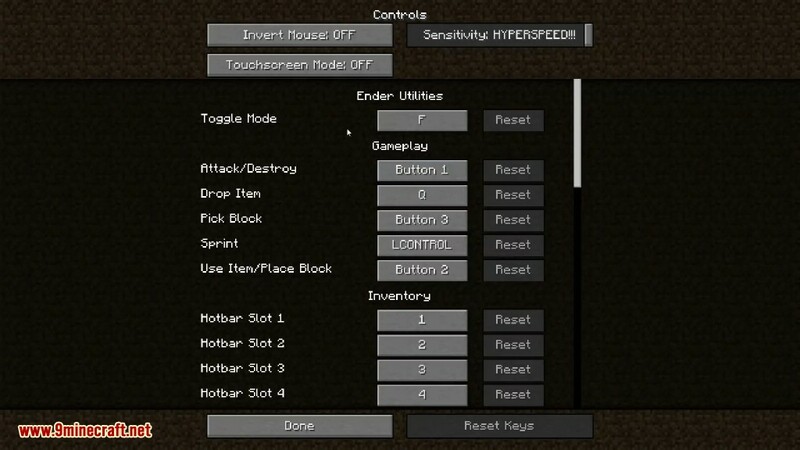 Hold right click to “charge” (takes 2 seconds in survival mode), and then release to teleport. 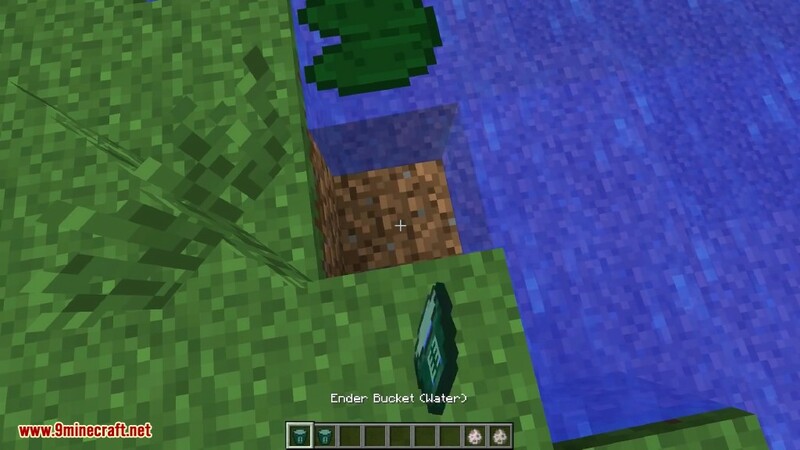 Sneak + right click on a mob to “bind” (= remember) it. Then sneak + right click on another mob to mount the first one on top of the second one. 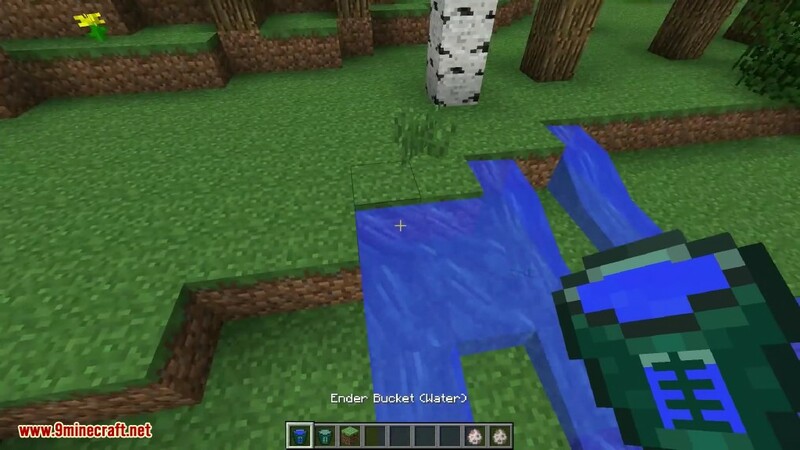 Sneak + right click with an “empty” harness on a mob to unmount that mob from the one it is riding. 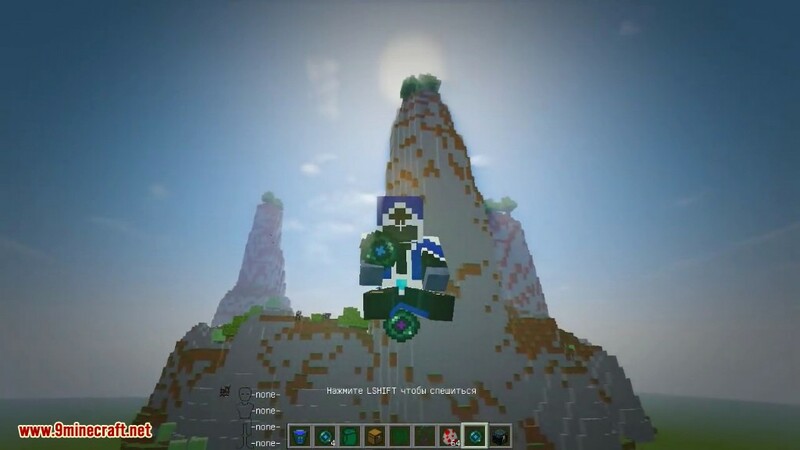 Portal Scaler: Can change the Nether Portal teleport scaling factor, if you right click with the item while standing inside a Nether Portal (does a custom teleport). 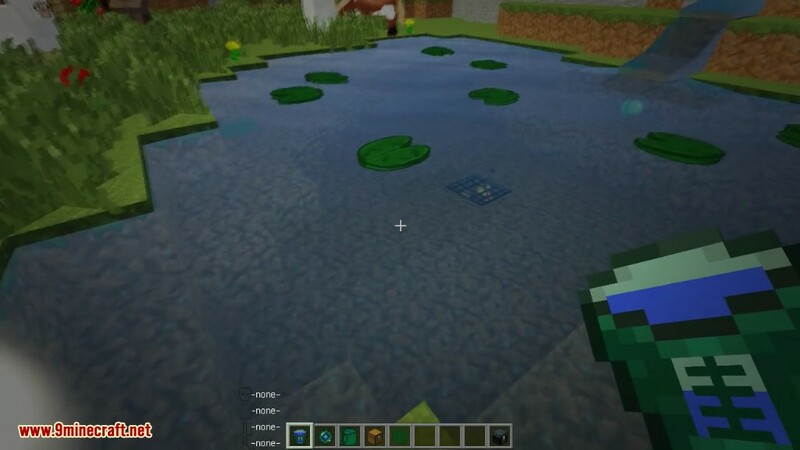 It can also shut down or activate Nether Portals. Will also give you some math practice when calculating the scaling factors. 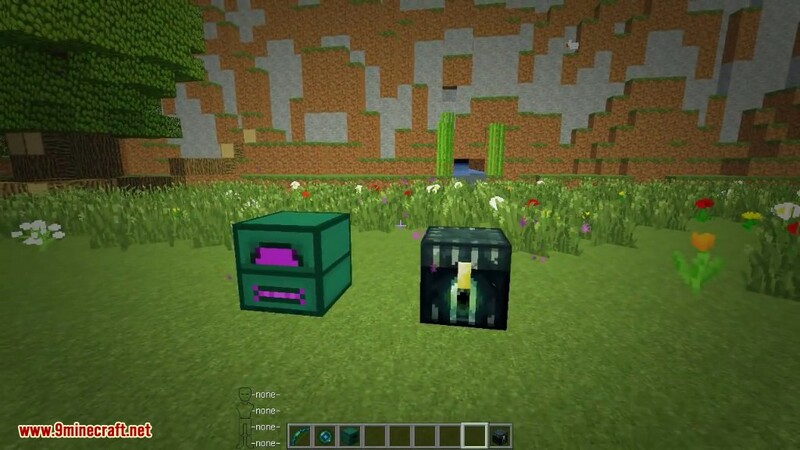 Ender Capacitor: A module that stores Ender Charge, which is needed for many of the items that teleport or transport something somewhere. 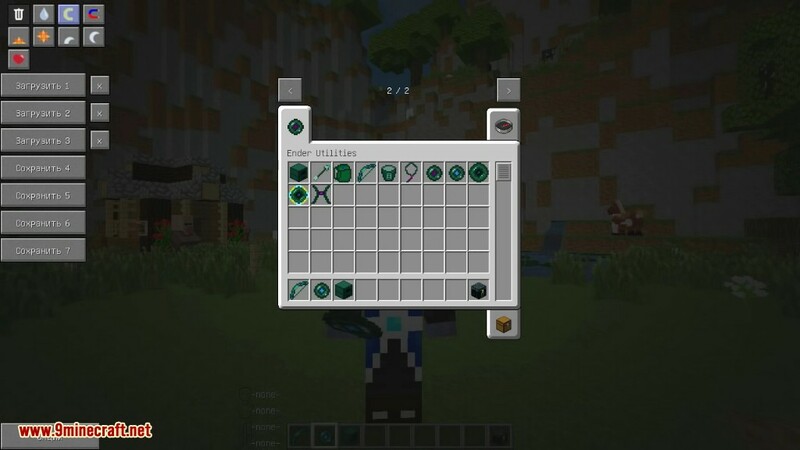 Can be charged in three ways: 1) Right click an Ender Crystal in The End (4 times to charge fully) 2) Use an Ender Infuser and some Ender Pearls or Eyes of Ender 3) Build an Energy Bridge multiblock in The End and in each dimension where you want automatic re-charging. 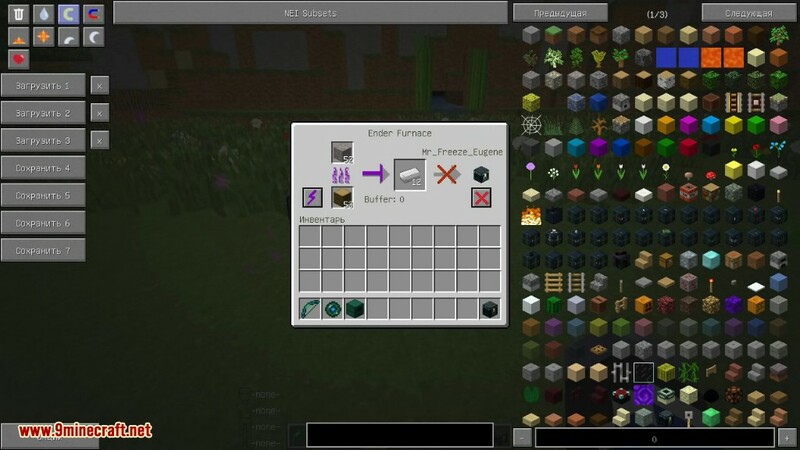 Ender Core: Crafting ingredient and also a module needed by some items for some operations. Link Crystal: A module that stores location information. Used in most modular items that can be linked to a location. Memory Card (misc): A module that stores miscellaneous information. Used in some modular items that need to store some kind of information (like the Portal Scaler, which stores the scaling factors on a Memory Card). 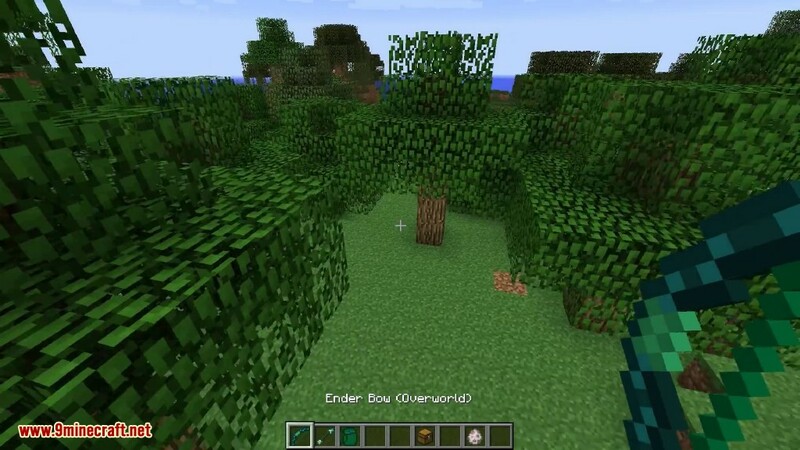 Ender Alloys, Ender Stick, Ender Rope: Just crafting ingredients. 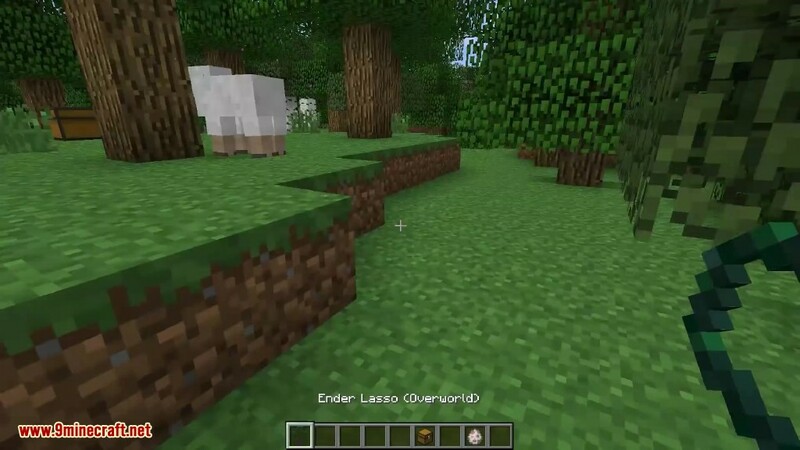 There can be nothing except air where the horizontal beams are, and only slightly light obstructing blocks (like Water or Glass) where the vertical beams are, all the way to the void/sky or the first bedrock block. Place the Resonators from the inside looking out, so that they face towards the middle. There are two blocks of air between the Resonators and the middle block, and between the Transmitter and the middle block/Ender Crystal. A red beam on a Receiver means that the Receiver is functional, but there is currently no active Transmitter.